Announcement: The Future of @ScientistTrump – Donald J. Trump, Ph.D. In June of 2016 we began our campaign to Make Science Great Again by electing as President a truly great Scientist with tremendous insights on how to fix the broken and rigged academic system that is keeping millions of postdocs and graduate students from realizing their dreams. You joined me on that journey, which was great for you because, frankly – I have great genes that gave me superior brainpower and picking another candidate would have shown what a Loser you are. But Election Day has come, and I have decided not to win the Presidency at this time. Instead, this January a person who knows literally nothing about science and and his equally ignorant Vice-President will be setting the course for America’s science and technology programs. Like me, I know you agree that we cannot let this be. So rather than go back to the lab — remember, I didn’t need to do this, I had build a lab worth millions in grant dollars and published hundreds of amazing papers – I have decided WE MUST CONTINUE THE FIGHT TO MAKE SCIENCE GREAT AGAIN (and this time it’s not just a slogan – after four years of this administration we may literally have to make American science great again). Starting next week, you can help support candidates that put Science at the forefront of their campaign by contributing to the MSGA Political Action Committee. Don’t be a Loser and a Hater – FIGHT! Students, Postdocs, Techs, PhD in any discipline — except evolutionary psychology, which is, frankly, bogus and also Political Scientists, which obviously don’t have a clue — YOUR COUNTRY NEEDS YOU! Keep following@ScientistTrump for details on how you can contribute to our PAC — let’s take this movement to elections from local school boards to the White House. 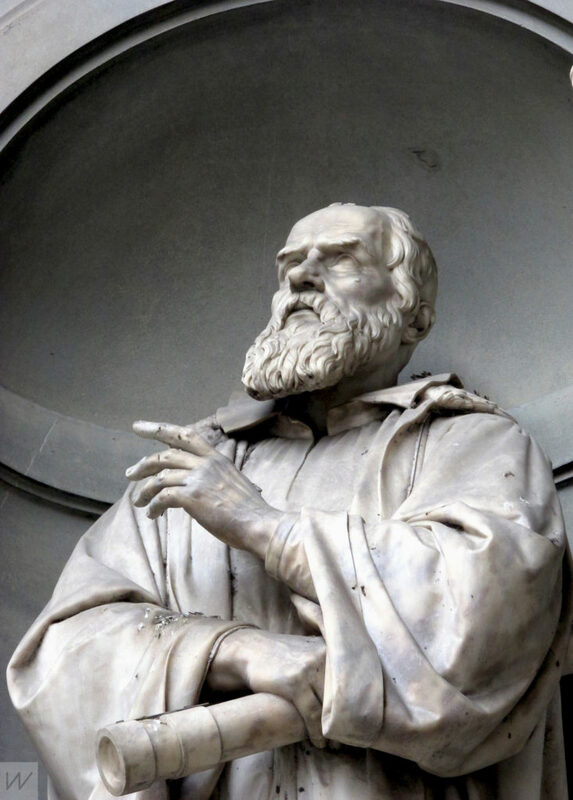 Galileo (Photo by Adolfo Monti, CC-BY-2-0).